Taking care of yourself can be tough when life—those day-to-day trials and triumphs—gets in the way. Kaiser Permanente’s plan to provide personalized care for busy people is to create an inviting, engaging environment that’s appealing enough that patients actually want to visit, follow up, and follow through with their healthy habits. 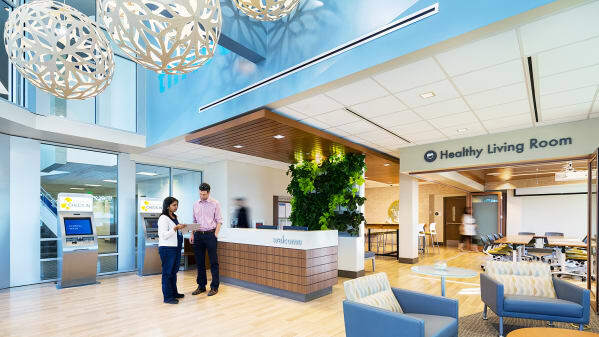 The vision is realized in the company’s Health Hubs, which are not so much redesigned brick-and-mortar spaces as a completely reimagined approach to what people will experience during their visit. By creating areas that feel like more like community centers than sterile clinical zones, the company hopes to push beyond reluctant annual checkups into a fully integrated approach to wellness.